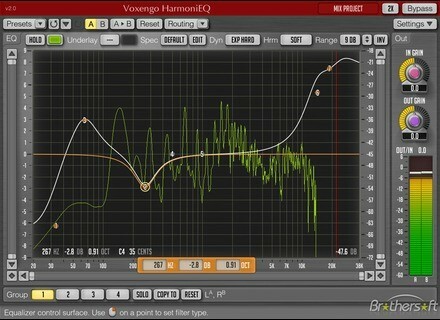 HarmoniEQ, Software parametric EQ from Voxengo. 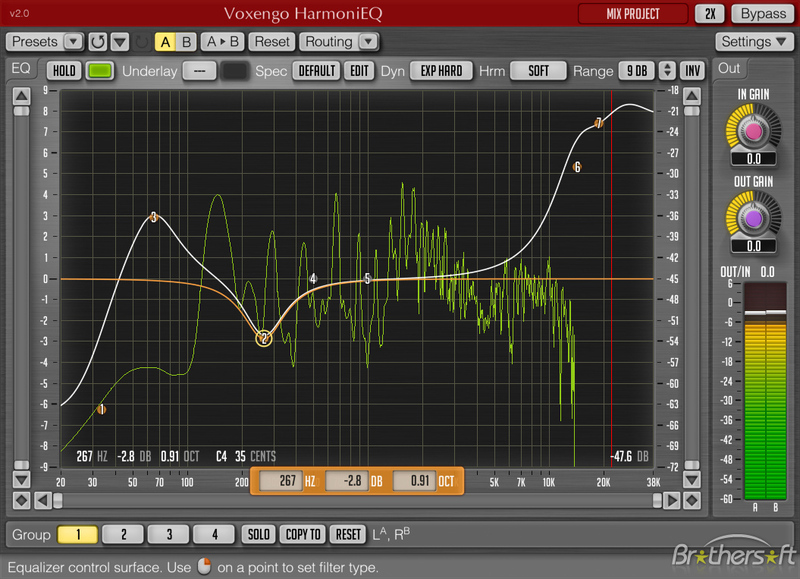 Voxengo HarmoniEQ update version 2.1 is now available for download. Voxengo HarmoniEQ, available in AudioUnit and VST plug-in formats for Mac OS X, Windows XP and Windows Vista computers, is a parametric equalizer plug-in for music production applications. Underlay color selection was removed - group's defined color is used now. "Filled Spectrum" spectrum display mode switch added. Oversampling filter type "Min-phase/Lin-phase" switch added. Global "Auto Oversampling Level" 1X (off) option added. Level meter's "density mode" improved. Narrow-band sweeping mode crash problem fixed. Voxengo HarmoniEQ is available for purchase on-line for USD 89.95. Overloud Mark Studio 1 Overloud has announced the release of Mark Studio 1, a new effect plug-in that has been designed to simulate the sound of Markbass amplification in a DAW application or live situation. AudioFront DSP Trigger AudioFront has announced the release of DSP Trigger, a software based audio to MIDI converter for Windows. New Features & SDK for MIDI Mobilizer Line 6 has added new features and an updated SDK (software development kit) enabling new features for the MIDI Mobilizer third party app developer community.